The 8th Annual Napa Valley Film Festival (NVFF) announced this year’s juried and audience award winners at the Uptown Theatre in Napa on Saturday, November 10, 2018. The Festival, held from November 7-11, screened 100 films, including the 18 in NVFF’s core competition categories, throughout the ten screening venues located around the Valley. 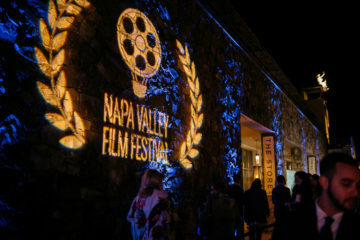 Cinema Napa Valley, the non-profit organization that produces the festival every year, also announced the event will take place next year from November 13-17, 2019. Each of the festival winners received a large format wine bottle from one of the festival’s esteemed Vintner Circle winery partners. 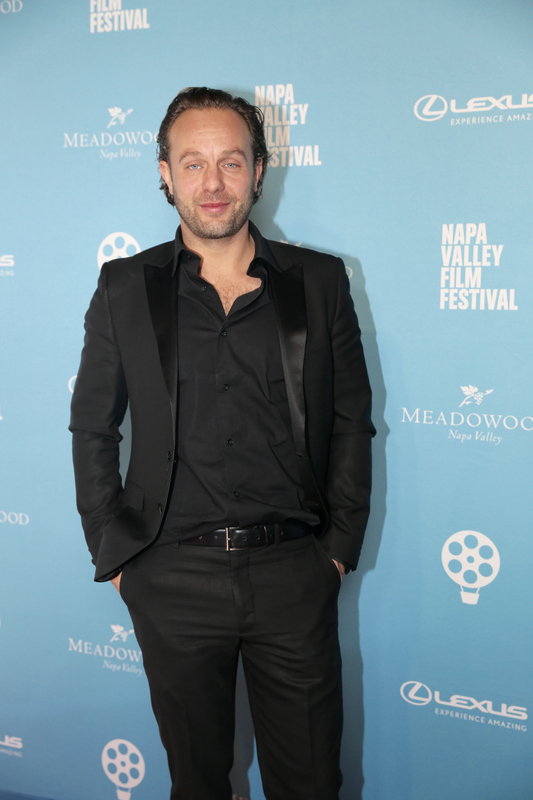 The two winners of the 18 films that vied for the title of Best Narrative Feature and Best Documentary Feature, as determined by the respective juries, were awarded $10,000, presented by Meadowood Napa Valley. 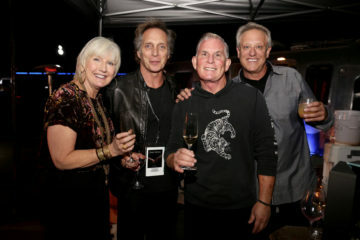 “As we do every year, we celebrate incredible artistry and storytelling, and this year we welcomed some amazing talent to Napa Valley. We were proud to share our beautiful valley and world-renowned hospitality, food and wine, with these incredible filmmakers. 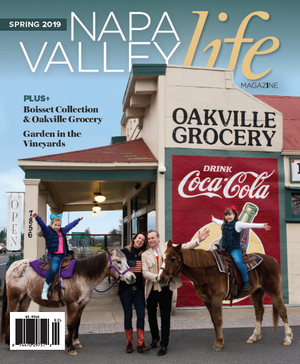 We look forward to an equally remarkable event next November,” said Chairman of Cinema Napa Valley Patrick Davila. 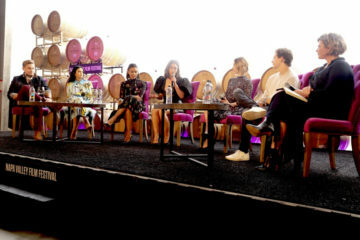 Directors of the Narrative and Documentary films in competition participated in NVFF’s unique Artists-in-Residence Program where they received a six-night stay at the luxury resort Meadowood Napa Valley. 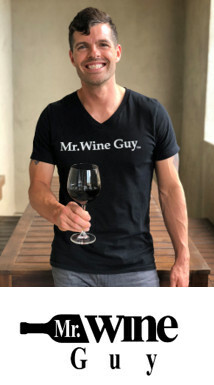 The residency included master classes with industry leaders and networking opportunities with their peers and festival patrons at lavish receptions and winemaker dinners. Jury Award for Best Narrative Feature presented by Rombauer Vineyards, and with a $10,000 cash prize courtesy of Meadowood Napa Valley, goes to Tomorrow. Jury Award for Best Documentary Feature presented by Acumen Wines, and with a $10,000 cash prize courtesy of Meadowood Napa Valley, goes to General Magic. Jury Award for Best Screenplay presented by Charles Krug Winery goes to Are You Glad I’m Here. Jury Award for Best Ensemble Cast presented by Vintner’s Collective goes to Cold Brook. Jury Award for Best Narrative Short presented by Reynolds Family Winery goes to Have It All. Jury Award for Best Documentary Short presented by RiverHouse by Bespoke Collection goes to Fear Us Women. Jury Award for Best Verge Film presented by Cru by Vineyard 29 goes to Summer ‘03. Special Jury Award – Best Genre Bending presented by VGS Chateau Potelle goes to White Tide: The Legend of Culebra. Special Jury Award – Best Untold Story presented by Cuvaison goes to TransMilitary. Audience Award for Favorite Actor presented by J. Lohr Vineyards & Wines goes to Sebastian Street for his work in the film Tomorrow. Honorable Mention, presented by Castellucci Napa Valley, goes to Logan Miller for his work in the film You Can Choose Your Family. Audience Award for Favorite Actress presented by Italics Winegrowers goes to Stephanie Leonidas for her work in the film Tomorrow. Honorable Mention, presented by Castellucci Napa Valley, goes to Skyler Samuels for her work in the film Spare Room. Audience Award for Favorite Documentary Feature presented by Provenance Vineyards goes to TransMilitary. Audience Award for Favorite Documentary Short presented by Hess Collection goes to Fear Us Women. Audience Award for Favorite Narrative Feature presented by Alpha Omega Winery goes to Tomorrow. Audience Award for Favorite Narrative Short presented by Duckhorn Portfolio goes to Tzeva Adom: Color Red. Audience Award for Favorite Food & Beverage Spotlight Film presented by Grgich Hills Estate goes to Soufra. 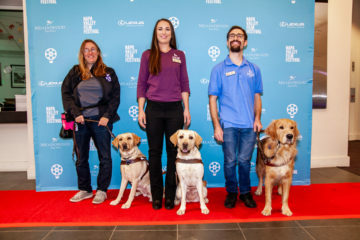 Audience Award for Favorite Special Screening presented by Materra | Cunat Family Vineyards goes to Pick of the Litter. Audience Award for Favorite Verge Film presented by Barnett Vineyards goes to White Tide: The Legend of Culebra. The documentary film Sharkwater Extinction also received Special Recognition by the NVFF Programming Team for Courageous Filmmaking.